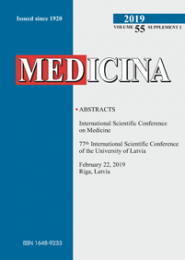 MEDICINA is a peer reviewed bi-monthly scientific journal of Lithuanian Medical Association, Lithuanian University of Health Sciences and Vilnius University which is indexed and abstracted in Thomson Reuters Science Citation Index Expanded (SciSearch®), Journal Citation Reports/Science Edition, MEDLINE, Index Copernicus and Directory of Open Access Journals (DOAJ). MEDICINA impact factor is 1.429 (5-year impact factor is 1.021) according to the Journal Citation Reports® 2017, published by Clarivate Analytics. The CiteScore 2017 of articles published in the MEDICINA over the last three years is 1.27 (powered by Scopus). 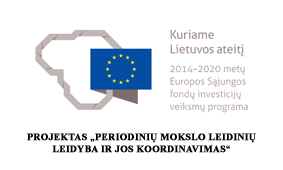 Since 2018, MEDICINA has been published online by MDPI (http://www.mdpi.com/).